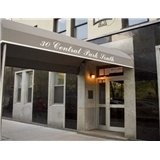 Central Park Dentistry (New York) - Book Appointment Online! Dr. Stapleton was very patient, attentive, and knowledgale. Would definitely recommend to friends and family looking for an Orthodontist. Fantastic dentist; always works with you to accomodate a schedule. Fast and efficiently! I had a great experience with this doctor. She is patient and gentle she also explained everything to me in a way I could understand. I would recommend Virginie to all of my friends. Dr. Ifraim was professional and understanding. I will definitely be making Dr. Ifraim my dentist. She is sooooooo nice. I decided to switch from my previous dentist for one that is much nicer, patient, courteous, and respectful, and Dr. Tan exceeded all my expectations!